McGrogan Design offers beautiful, responsive, fully editable websites at an affordable price. A piece of advice: Websites shouldn’t cost as much as a used car. With an overall goal of helping small businesses make the leap to a strong successful brand, McGrogan Design offers agency-quality websites for much less than you think. Contact McGrogan Design today and let’s get started! NYS Licensed Massage Therapist Jaimie Ross has proudly and gratefully been serving the community through healing touch for the last 10 years. Jaimie’s extensive education and background in the Physical Therapy and treatment of orthopedic conditions has granted her intense healing abilities, and her bodywork services have been referred to as "life changing." Enhanced Wellness opened at Mohawk Valley Wellness in 2018 and was in need of a total rebrand, including a logo, business cards, gift certificates, and a website. 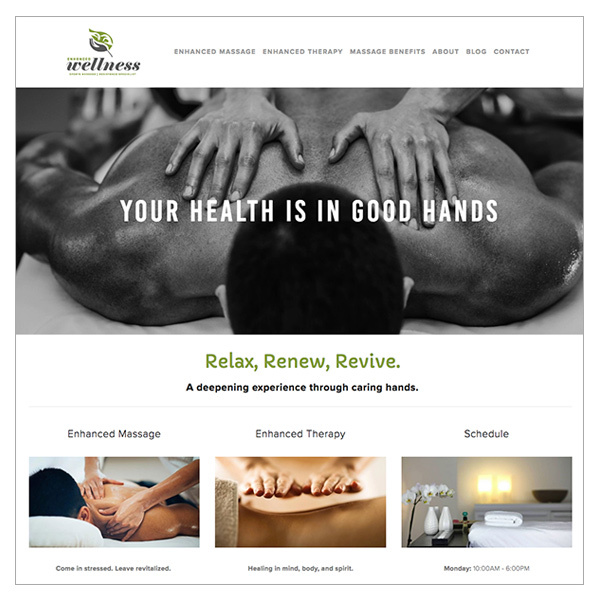 Enhanced Wellness’ website launched in February of 2019 and has already seen an increase in online traffic and appointment requests. Autum Rotach is a New York State Licensed Acupuncturist with an office in both New Hartford and Old Forge, NY. After using McGrogan Design for a new logo design, Autum asked that I tackle her outdated website. Some feedback she was hearing about her old site was that it was not developed to display correctly on a phone. Autum’s new website is completely responsive and works perfectly on a mobile device, including all of the forms on her site. Your View Window Cleaning specialized in making homes and businesses shine all over the Utica, Rome, and Oneida area. 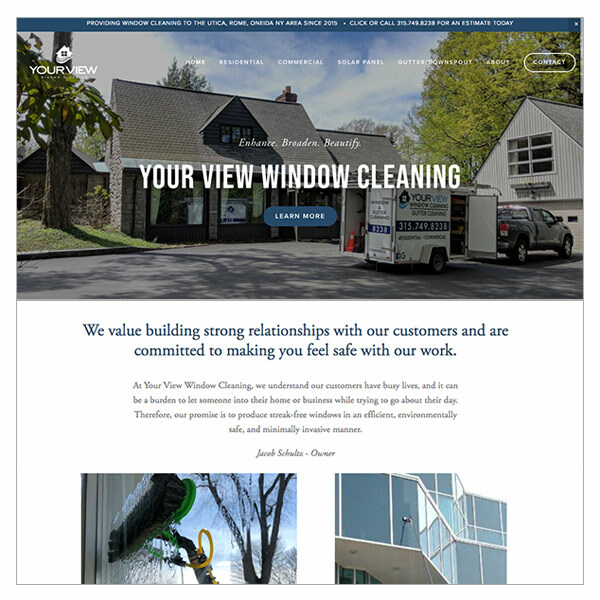 With years of experience in residential window cleaning, commercial window cleaning, solar panel cleaning, and gutter cleaning, Your View Window Cleaning is growing quickly, and needed a professional website to keep up with demand. Owner Jake Schultz loves the ease of use and ability to edit his own site with new pictures and content after finishing a big job. The law office of Michelle R. Gu, Esq. just completed an entire rebrand in the winter of 2018. Without a logo, stationery, or a website, she was in need to get in front of the saturated law market in the Utica area. Now with a clean & professional website, Michelle R. Gu, Esq. is quickly gaining new clients & standing out amongst the competition. Ok, this is all great, but what’s next? Now that you’ve seen my work, let’s get together and make a BIG impact! My goal is to help make your small business dreams a reality through beautiful, logical design.